You may have seen the Paid Family Leave page in our Mother’s and Father’s Day print catalogs. What “Paid Family Leave” means is this: family members can go on leave from work to take care of a newborn or seriously ill family member for a period of time, while continuing to receive some or all of their usual pay and benefits. The United States doesn’t have a paid family leave policy–we’re one of the only countries in the world that doesn’t, and the only developed country–and we are for changing that. We decided we wanted to advocate for it in our catalog. 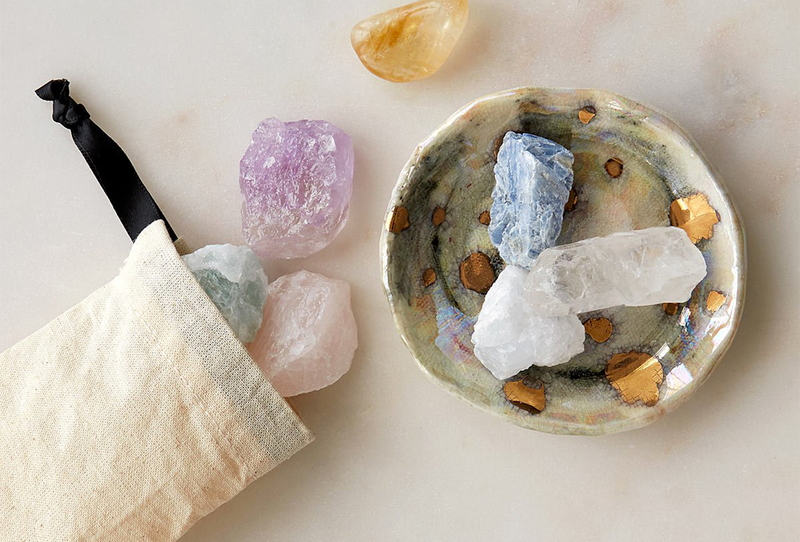 We’ve always been a socially conscious company, working to use business as a force for good. But this is the first time we’ve communicated to our customers directly about a specific issue. We’re excited about it and a little nervous. We know not everyone will agree. We’re not trying to tell people what to think. What we’re hoping to do is raise awareness and build resources to take action. There is so much excitement but also so many stresses when growing a family. I am thankful that I got to focus on how to keep the little guy happy rather than falling behind in my career or how I was going to pay for the hundreds of diapers he needs (this is a literal estimate). The bonding and learning we both are doing is crucial to my entire family’s development. I miss my work and my coworkers, but glad I can put my family first. I get to spend twelve amazing weeks with my boy. I am so grateful to be working at a company that supports paid family leave, and to live in a state that does as well. One thing that hasn’t changed: newborns still need round-the-clock care, and mothers need time to recover from childbirth. 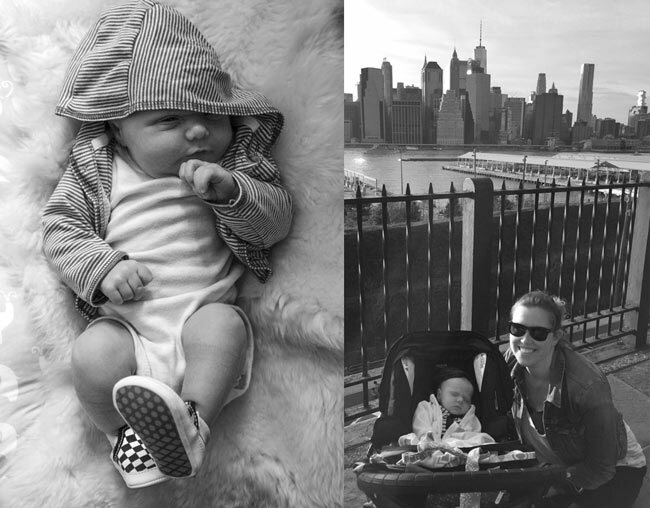 As we mentioned above, earlier this year, we updated our own paid leave policies at UncommonGoods, which cover new parent leave, family medical leave, and personal medical leave. Through these policies, eligible employees who need to take leave from work are offered 100 percent of their regular weekly pay and the continuation of certain benefits. Our paid new parent leave is gender neutral. Team members who are designated as the Primary Caregiver are eligible to take up to eight weeks, and the designated Secondary Caregiver can take up to three, both at full pay. For team members who need to take time off to care for a seriously ill loved one, or for a personal medical issue, we offer up to three weeks of paid family or personal medical leave. These benefits don’t just help employees; they’re good for the company as a whole. We work hard and long to find the right team members to fit our company culture and each specific role, and of course it takes every new hire a while to get into the flow of their job. We don’t want to lose those people! To update the current federal law, Sen. Kirsten Gillibrand (D-NY) and Rep. Rosa DeLauro (D-CT) have re-introduced the Family and Medical Insurance Leave Act, or FAMILY Act, which would provide up to twelve weeks of paid leave each year to qualifying workers for the birth or adoption of a new child, the serious illness of an immediate family member, or a worker’s own medical condition. Workers would be eligible to collect benefits equal to 66 percent of their typical monthly wages, up to a monthly maximum of $1,000 per week. A handful of individual US states—California, New Jersey, New York, Rhode Island, and Washington, plus the District of Columbia—have taken the lead on paid family leave legislation for their residents. Our own CEO, Dave Bolotsky, was an active supporter of paid family leave in New York State. Each state handles it a little differently; in New York, for example, leave will be 100 percent worker funded, with average weekly contributions of about $1.40 to $2.80 per week from a worker’s paycheck, according to various estimates. We want to help more states pass these laws.“We’ve been practicing but not preaching to our customers. Now we’re preaching what we’re practicing.” (Dave said that. He has a way with words.) 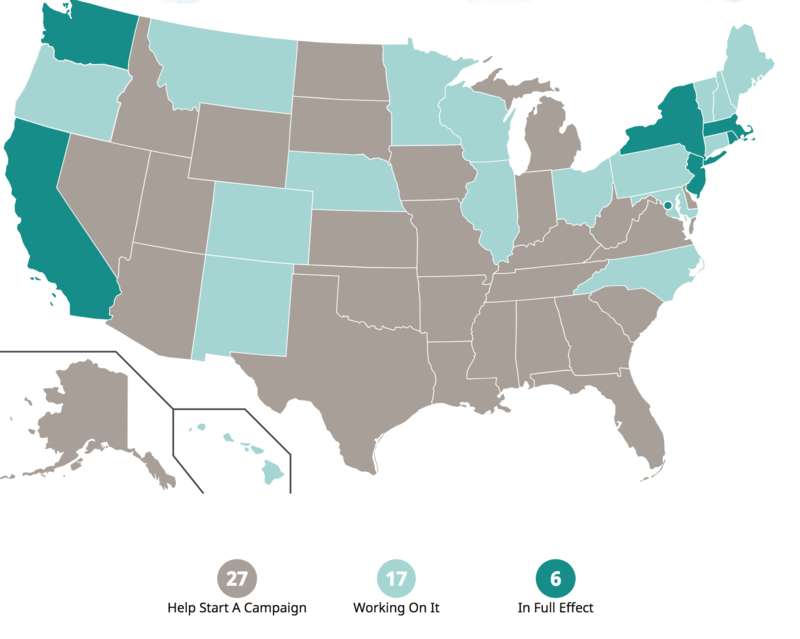 With the help of Family Values @ Work, a network of coalitions in 25 states working to pass paid leave policies, we made an easy-to-use interactive US map that gives very brief info on the status of paid family leave in each state, and who to contact if you want to learn more and help back paid family leave law in your state. As we said, we know not everyone agrees with us. It’s sparked honest conversations, both in favor and against this policy. We want to address some of the common concerns and counterpoints that have come up. People sometimes feel that businesses should not stick their noses into policy outside of their own firm. So why are we? Businesses get involved with policy all the time. That’s what lobbying is. But usually, businesses lobby for policy that helps their bottom line: lower taxes, fewer environmental regulations, subsidies, etc. As a B Corp, it’s part of our mission to get involved with issues we care about beyond our bottom line. We believe that paid family leave is good for our country and its economy. And as a business, it’s an issue we deal with in our everyday lives. Why should we leave it to politicians? Moreover, families are important to us, and to our business. People very often give UncommonGoods items as gifts to family members. 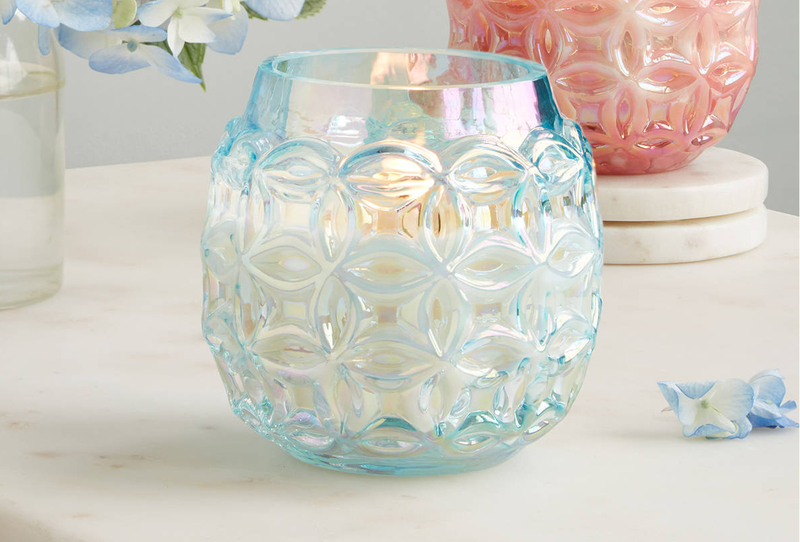 We read customer reviews about how someone’s mother, grandfather, or child reacted to a gift with delight, or even tears of joy. It’s very moving to us. We care about the families of our customers, our team, and our makers. But why stop there? 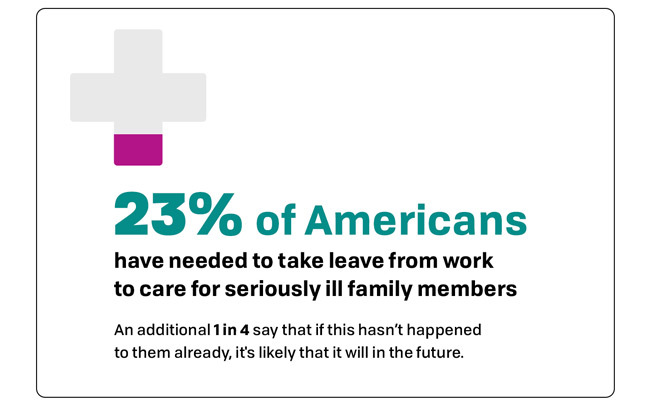 Not having paid family leave is very tough on most families. Without it—and 86 percent of Americans don’t get it4—the birth of a child can cause a financial crisis for a family, even when the birth goes perfectly and baby and mother are both healthy. As a result, nearly one in four women with jobs go back to work within two weeks of delivery–or have to quit their jobs.5 We don’t think that’s a good thing. It’s important to keep in mind that paid family leave is not just about childbirth. Elderly family members need care, too. Sean Cullen, our Human Resources Project Coordinator, helped care for his grandmother before he came to UncommonGoods. As my grandmother’s memory began to drastically decline, my family stepped in to be her caretakers. In order to help, I managed to receive a teaching assistantship that allowed for me to stay with her during traditional working hours while my mother was able to keep her job and her paycheck. Two years later, as my grandmother’s physical health began to worsen, it was apparent how fortunate we were to have a support system in place for the weeks leading up to hospice. Not all American families have that opportunity to do right by their loved ones. I wouldn’t trade in those difficult moments for the world; others shouldn’t have to in order to keep food on their table and a roof over their head. The US population is aging. The number of Americans who rely on long-term care services will more than double by 2050, from 12 million to 27 million.6 Most rely on family members, 62 percent of whom keep their full-time jobs rather than taking unpaid leave.7 Paid family leave would help elderly people stay in their own homes, cared for by family members, rather than move into expensive, often taxpayer-funded institutions. Those who aren’t sold on paid family leave sometimes think it’s too hard on businesses, especially small ones, and that that causes problems for consumers too, in the form of higher prices. Even if leave is employee-funded, businesses still have to pay overtime to coworkers who pitch in to cover for the worker on leave, or hire temporary replacement help. That’s because paid family leave is pragmatic, not pie in the sky. It’s meant to provide business owners with a method to cost-effectively provide paid leave to workers, while workers are able to care for their loved ones and still pay their bills. Some people say it’s a personal decision to have a child and that only the people having the child should bear the financial and other responsibilities of that decision. Well, it’s not a personal decision on the child’s part. And nobody decides to have parents or a spouse become very ill. It just happens. As for the people who are doing the choosing, in the United States, most people do eventually have children. Those kids become our workers, our doctors, our teachers, our thinkers—or, our problems. We want them to be strong, smart, and good at their jobs, and to add strength to our nation, not rely on taxpayer money. We’re proud of being uncommon. 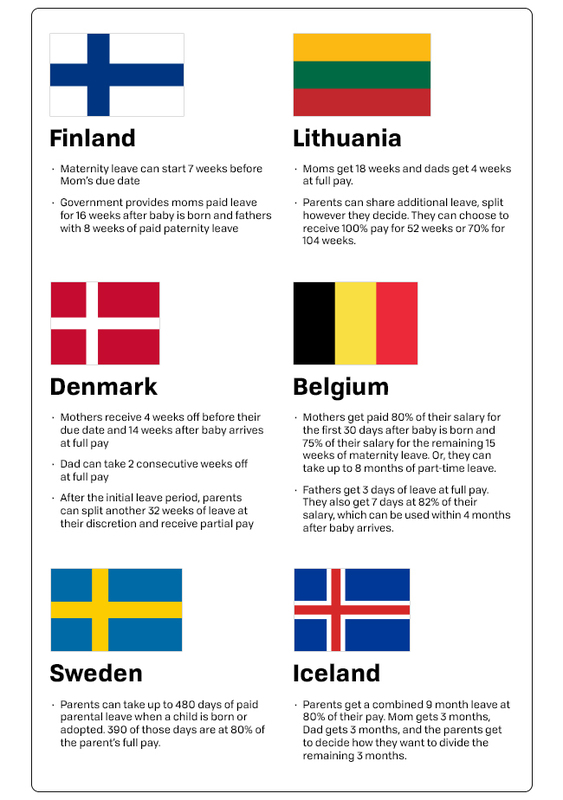 But we’re not proud that the US is uncommon in not having paid family leave. For comparison, here are the top five most generous national family leave policies. Why do we make it so hard to be successful at both family and career in our country, when that’s what almost everybody wants most? Who is saying it can’t work here, and why are they saying it? The time is ripe. Public support for a federal paid family leave program is widespread and bipartisan.11 So let’s do this! Health Affairs. “Long-Term Care: Who Gets It, Who Provides It, Who Pays, And How Much?” By Kaye H, Harrington C, LaPlante M. Health Affairs. January 2010; 29(1):11-21. Center for Economic and Policy Research. “Leaves That Pay: Employer and Worker Experiences With Paid Family Leave in California“, 2011 (updated 2012).” By Eileen Appelbaum and Ruth Milkman. Center for Women and Work at Rutgers. “Pay Matters: The Positive Economic Impacts of Paid Family Leave for Families, Businesses and the Public,” By Linda Houser and Thomas Vartanian, 2012. World Policy Analysis Center, Comparative International Data Tables. “Policy: Is paid Leave Available for Mothers of Infants” Database methodology information here. An AARP-commissioned survey of voters 50 and older across New York state in 2014 found 73 percent support paid family leave. AARP Research, “2014 State of the 50+ in New York State,” by Angela Houghton, page 11. I am thrilled to see you educating people and taking a stand on paid sick leave, going to forward to all my friends and tell them this is a good company to buy from as they share our values. Thank you, Erin! As we said, it’s new for us to bring a discussion of a specific issue to our customers. We’re happy to hear that you appreciate it. And by all means, forward to your friends–not just so that they buy from us, but to help people learn more about paid family leave and what they can do to help make it law, if they choose to. Paid family leave should be a choice for businesses as a means of both financial and non-financial compensation to offer valued employees. To force that cost upon businesses is un-American and immoral. When this country was founded we were an “uncommon” country in that we did not seek to force upon others things they had no choice in. If I get an exceptional education then I can work for a company that offers these benefits. That’s up to me, and up to the company that I choose to work for. Social justice is everyone having the same basic opportunity as everyone else. It’s not a bunch of hand-outs that are paid for by the most successful in our society. Thank you, Ken. We’re grateful to you for sharing your views on this. We do want to clarify that in New York State, employers won’t be responsible for the cost of paid family leave. A small deduction will be taken from employee paychecks, similar to the way Social Security works. We think this is a good model. We also believe, based on extensive studies of California (which has had paid leave since 2004), that paid family leave would actually make things easier and less costly for businesses, especially small ones. Turnover costs are lower, for example. We invite you to check out some of the information sources we linked to in our post. You may be surprised by what you find! Well said, Key Grove – I agree. If the government continually hands out aid and in this case, forces companies to do so, it creates a society where people are happy to sit back with their hand out instead of encouraging them to contribute their best to themselves and to society as a whole. There needs to be accountability for oneself. One of the examples provided here is Denmark, a country that has become a cradle to grave welfare state. Denmark and their educational system is an example of what does not work and it has weakened their economy further. No tuition fees and generous monthly stipends have resulted in Denmark spending more on education than most other countries but has produced students pursuing fields of study that,while interesting to them and free, do not provide them with a sustainable way to support themselves. This results in shortages of qualified workers in various fields which further hurts their economy. The other piece of this is that, inevitably, taxes will rise to pay for such programs – taxes are close to 60% in Denmark for top earners. This is but one example. It’s not a business model that works and I do not want to see it happen in the US. Less government is needed, not more. 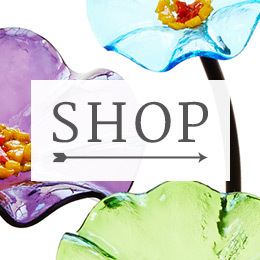 By the way, I love the products I’ve purchased from Uncommon Goods! Thanks for the compliment, Cyndi–both about our goods, and the compliment you pay us by engaging in dialogue about this issue with us. We share your concern about values, incentives, productivity, and allocation of resources. You make some fascinating observations that make us want to learn more. As for financing paid family leave, there are many different models for how that can be done. For small businesses, it comes down to the dilemma of cost vs benefit. If sustainably funded, paid leave can be a modest program with long lasting benefits for people who you have invested valuable hours training and recruiting employees, in turn creating loyalty and financial incentive for knowledgeable employees to return to work. We look forward to hearing and learning more from our customers, so thanks again for your feedback. While the idea is commendable, many small businesses simply cannot afford to pay an employee while they are out on leave for two months and hire another person to replace the person on leave. In larger companies there may be more flexibility to cover the work normally done by the employee who is out. I support giving employees time off to care for family, but the cost of paid leave may be prohibitive to many companies. I think FMLA was made law for this reason. Thank you for responding, Ann. We’re happy that our blog post has inspired you to give us your POV. For us, part of the point of Paid Family Leave is that it would make it easier, not harder, for small businesses to give their employees that time off, because they wouldn’t have to shoulder the cost of it. In New York, for example, leave will be paid with a very small weekly deduction from workers’ paychecks. Employers won’t have to contribute anything. This way, when an employee goes on family leave, the employer pays only the temporary replacement employee, rather than paying both employees simultaneously. That puts smaller businesses on a level playing ground with big ones that, as you say, have more flexibility to cover the work, and can more easily afford to pay leave. Thanks again for writing. And feel free to disagree with us!